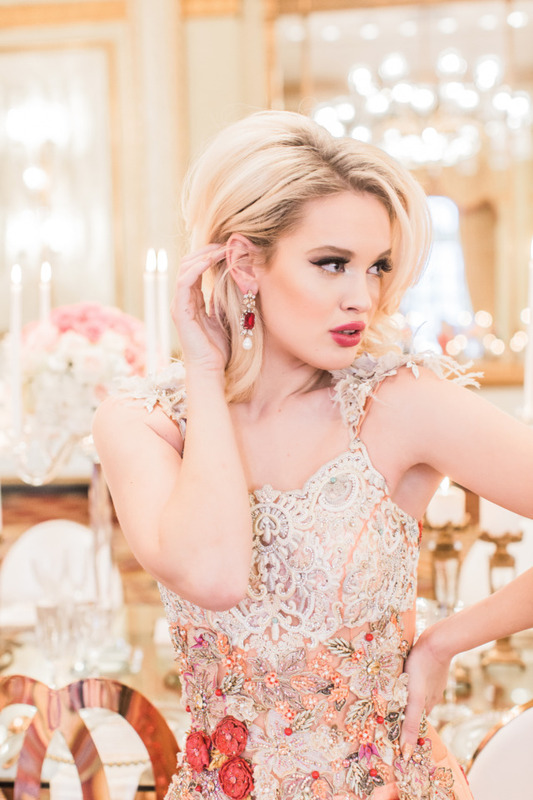 When Maude Affair Event Coordinators was in the process of planning this shoot, emphasis was strictly placed on how to raise the bar for a stylish bride that wants a luxe, trend setting wedding. 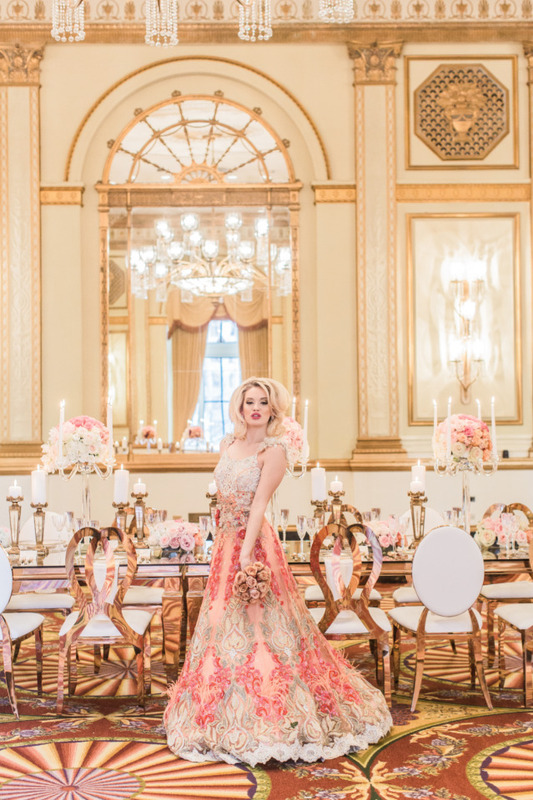 They produced a romantic, elegant shoot that gave versatility, and cultural influence, where a bride won't be thinking twice but saying, "that’s it." 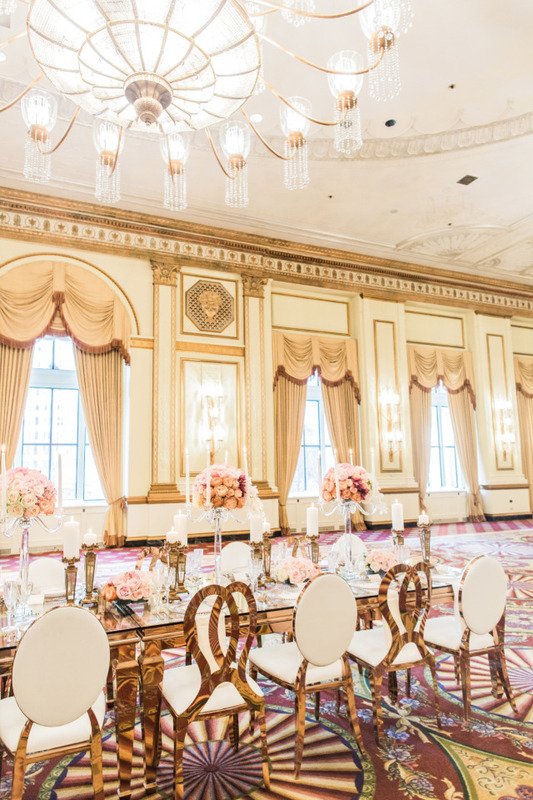 Warm tones was the focus, achieved by using hues of Rose Gold, emphasizing on decor that was distinctive, new to Vancouver and the next "new" inspiration for brides to be in time for Valentine's Day. 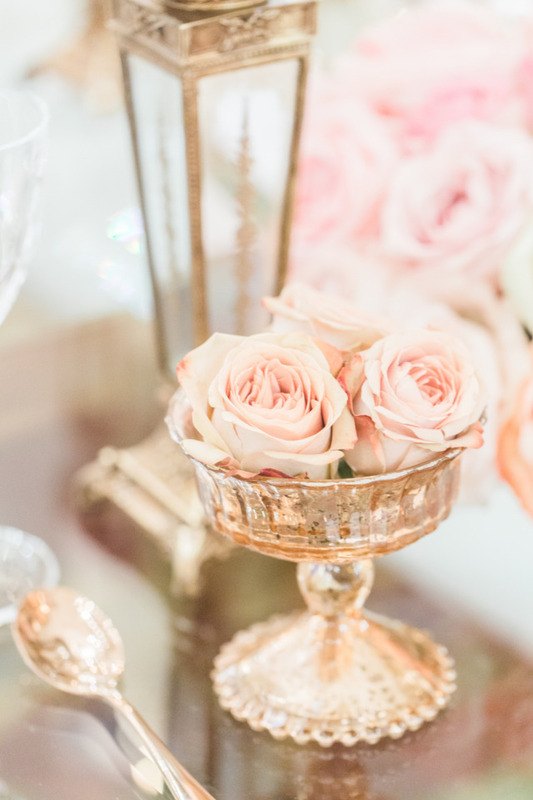 This rose gold affair will leave you dreaming of glam and roses and you can see it all in the full gallery, photographed by Simply Sweet Photography. 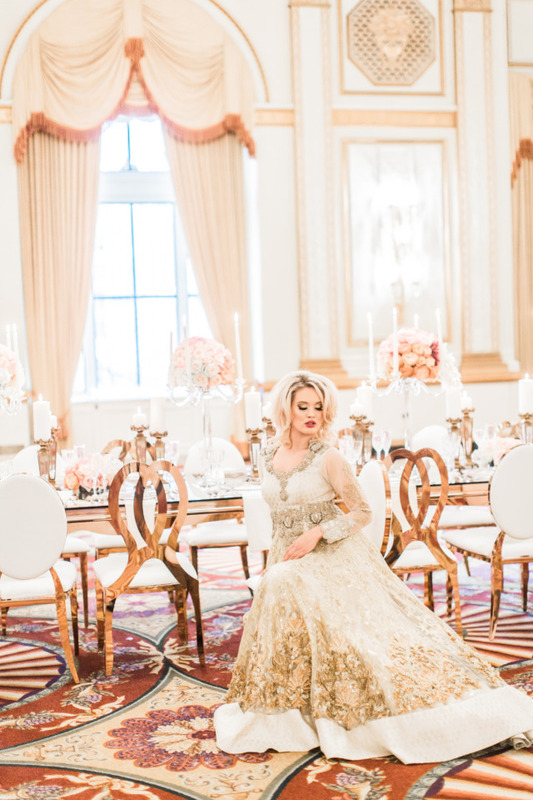 From the vendors: To give it a luxe touch, we used designer bridal gowns that would create a buzz but also hit different markets influencing cultural weddings as well. 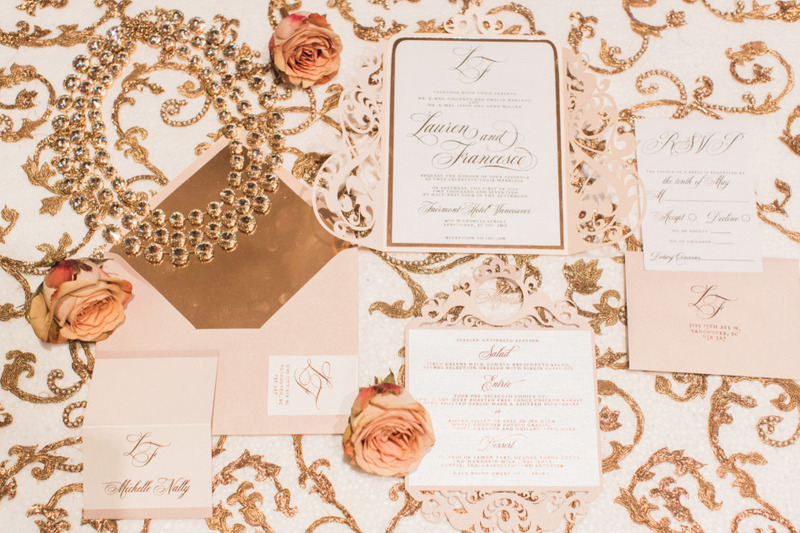 Elements of rose gold were used to keep the theme romantic and warm. 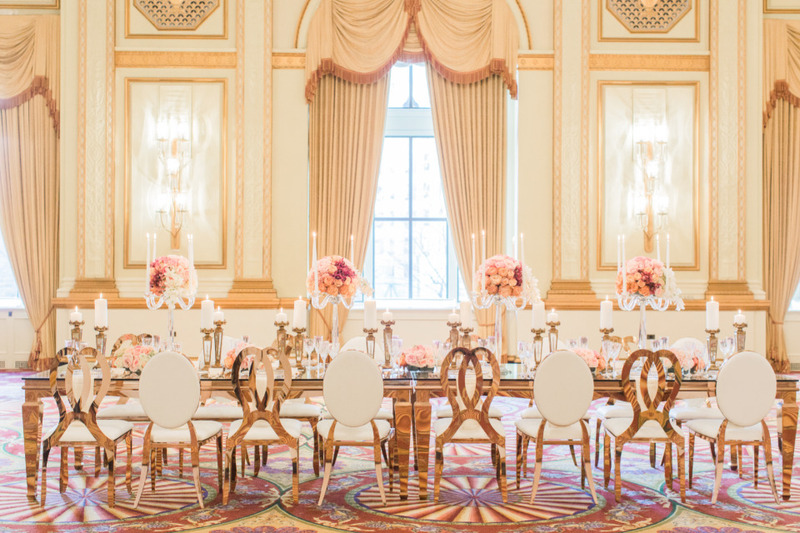 The blend of rose gold infinity chairs with the chrome Louis chairs against the glass dining tables made for a sleek, elegant look. 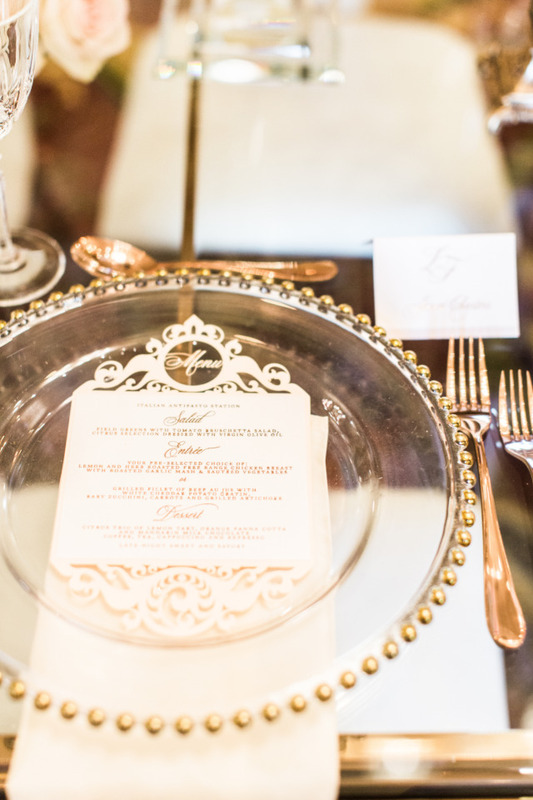 Rose gold cutlery went beautifully alongside the clear crystal glassware and glass gold beaded charger plates. 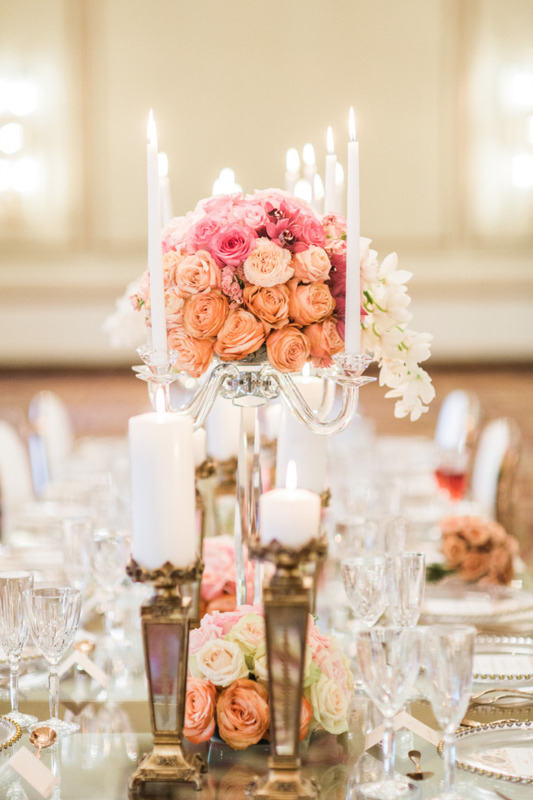 The clear crystal candelabras and our gold vintage mirror candle holders amped up the warmness, giving the table setting an elegant look. In one instance, the reflection of the florals off the mirror candle holders is just beautiful and an inspiration to many! Dresses: 1. 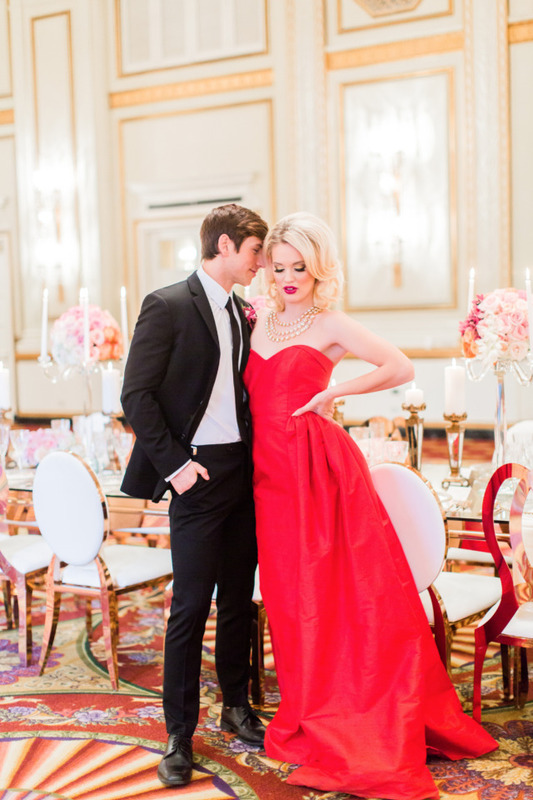 Red strapless dress: Monroe Gown from Valencienne Bridal Design. With a sculpted bustier, the skirt is a fitted column gown accented with a glorious over-skirt. 2. White gown: Ms.Elle from designer Galia Lahav Le Secret Royal Collection. This dress left us speechless and proves to accentuate any women's curves. 3. Red patterned gown with a touch of feathers on the shoulders was designed by Rohit Verma, a well known South Asian designer known for cultural affluence designs 4. White long sleeve gown was designed by @Pawanandpranav with intricate detailed embroidery. 5. The three piece crop top with floor length skirt and sequinned (dupatta) scarf was designed by @Shyamalbhumika. 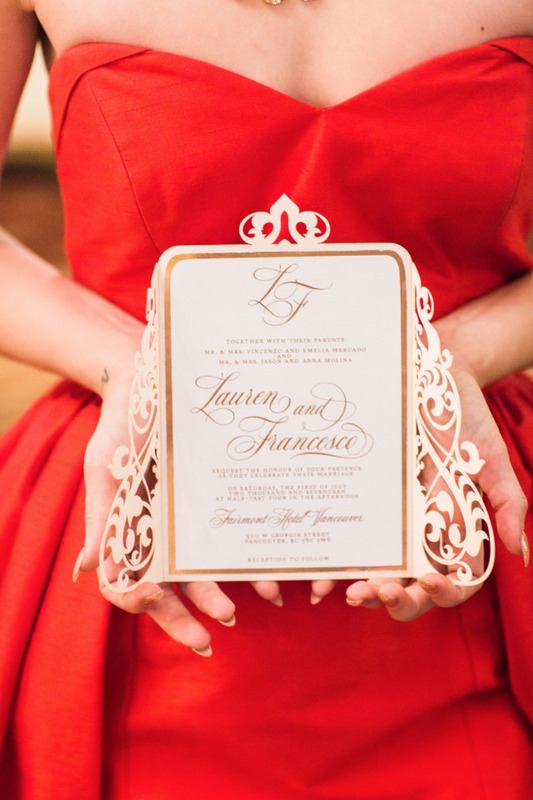 Laser cut stationary was on my want list for this shoot. 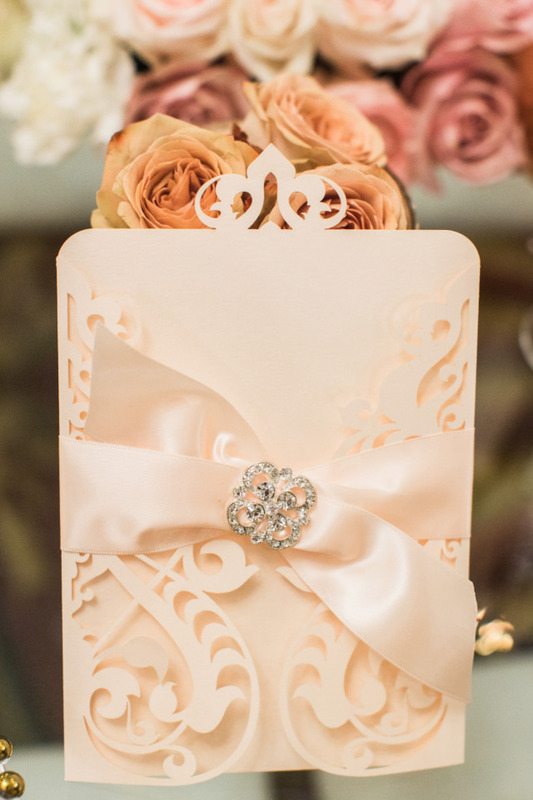 Paper Damsels used two tones of blush and taupe for the menu cards on the charger plates. The laser design on the invitation coincided with the laser design on the cake which added a nice uniform touch. The cake speaks for itself. 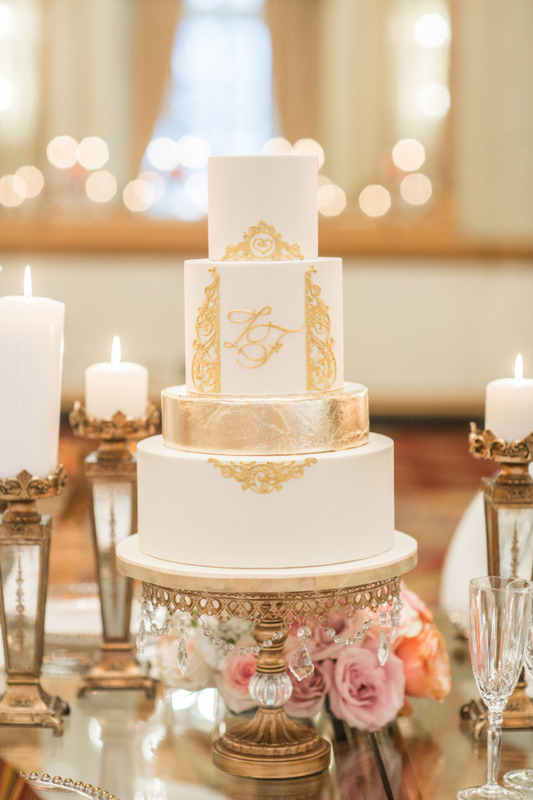 I wanted a classy ivory cake with gold finishing that added to the Fairmont Hotel aesthetics and also the theme of the shoot. The aesthetics played a key role to bring it all together. 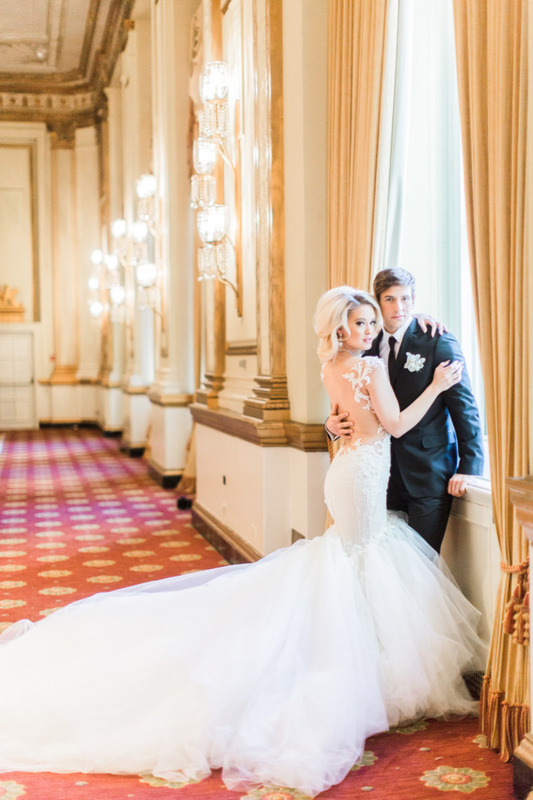 I couldn't think of a better venue than Fairmont Hotel Vancouver with beautiful architectural walls that allowed our shoot to outshine and be statement worthy. A Little Love For The Groom & A Video! 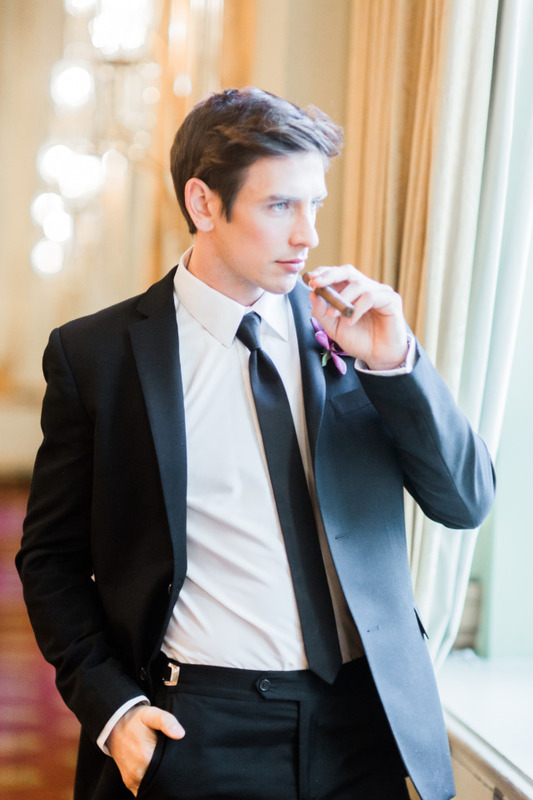 To place focus on the Groom as well: The Cohiba Cigar was brought in from Cuba during my travels. To add a masculine touch, I added it as a prop to inspire Grooms as well. The Tux Store provided a classic black slim fitted suit. Wedding Films Life Studios Inc.